Hays Roofing is happy to show off some of our best work in our roof installation and repair gallery. 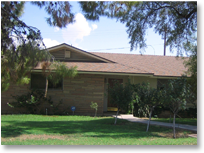 Whether you're looking into a new roof or roof maintenance, you'll find our materials and roofing techniques to be the superior choice for Phoenix area residents. Browse through our roofing gallery to find images of our past work to get an idea for the high standards we set for ourselves and our competitors. Contact Hays Roofing for your next roof repair, maintenance or installation project! Call 602-254-5663—we're happy to hear from you.